I grew up in a city. My husband grew up in rural village. The different ways we were brought up directly impacted our marital happiness after our son was born. When my husband and I had the serious talk about marriage, we talked about who we were, what were our values and ideals and where we wanted to live in future. These seemed aligned and we thought that this discovery session was adequate to ward off any differences in expectations. Had we known then the struggles we will have after the arrival of our son, we would have explored in greater detail how each of us were brought up, the type of parents we each had, their parenting styles, our future arrangements for childcare and how we would bring up our children. We may not have even gotten married if we realized how vastly different we really were. My husband grew up in the countryside in China. Parts of China were poor in the 1980s, especially in the rural communities. His parents farmed their own vegetables and rice and ran a small business polishing the floors of others. Life was very tough. His parents worked hard at making ends meet, even harder on the farm, and did not spend much time on the children. Neither of his parents had any help from their parents – my husband’s grandparents – this was most unfortunate, and very rare. The family support structure in their household is a far cry compared to what modern Chinese families have come to take for granted. 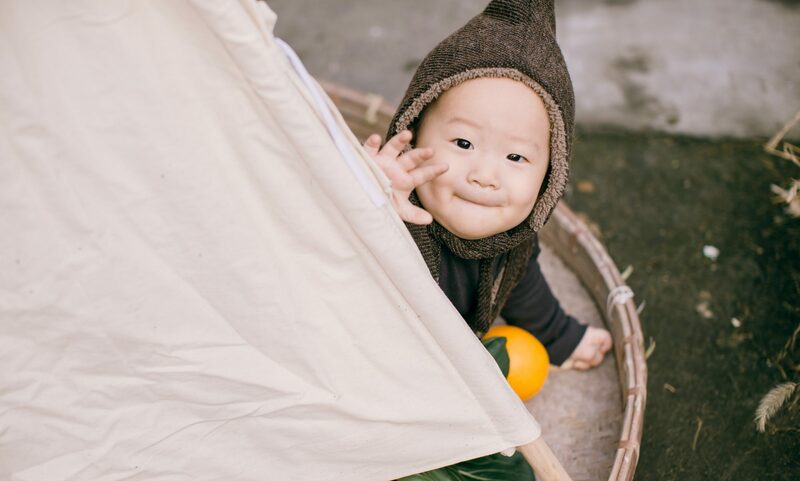 These days, couples living in Chinese cities are encouraged to have two children but most young couples choose to just have the one because of how costly, in terms of effort and time needed, it is to nurture and raise a child. As a result, each infant grows up surrounded by an overwhelming abundance of love and material possessions. Grandparents from both maternal and paternal sides dote on their grandchild and care for the child in turn, freeing up the child’s parents to make a living in the harsh rat race. My husband’s parents are illiterate. What they knew about raising children they had learnt from fellow villagers. These were tips on how to deal with phlegm, how to make padded baby coats before winter and what to feed the child at the weaning stage, but nothing on any fundamental knowledge such as hygiene, the science of child rearing and of course nothing on character and mental development. They loved their children, obviously, but they truly believed that before learning to speak, babies did not have any form of intellect. Until my husband went to college and happened to have a conversation with his father about how babies came about, his father had the belief that pregnancy meant that a woman’s stomach was on loan and that the baby inherited nothing from his or her mother. Isn’t that amazing? My husband survived childhood because his basic needs for warmth, food and rest were met. My mother-in-law made dead sure of that. But there was no nurturing. No softly spoken words of assurance whenever fear struck, no singing to, no playing with and certainly no hand-holding. There is no single photograph of my husband so he does not know what he looked like when he was a baby. When my mother-in-law busied herself in the house, she would cage up my husband the baby with their brood of hens to keep him busy. In his words, he ate A LOT of chicken droppings in those years. Growing up, my husband had no lack of playmates in the village but only a handful would hang out with him. Why? He would beat up other kids until they bled or until their grandparents complained. He did not need any particular reason. He would strike out at other children within five seconds of being alone with them. The three kids who hung out with him were kids with who he would steal watermelons and start fires. He told me these when we were dating but ignorant I would simply laugh instead of taking him to a psychologist. Because he had been brought up with criticism and hostility, he had learnt to condemn and fight. It would appear on the surface that my husband turned out normal. Miracles of miracles, he is not physically abusive towards me. But because he was raised on survival not love, he has no idea how to nurture our son. He has zero patience. He has no creativity. Even though he is academically educated he does not read to our son, does not talk in gentle tones and does not know what toys my son required throughout his early stages of development. I realized that I was raising our son singlehandedly and I had to teach my husband how to parent and how to appreciate my type of mothering. It was super tricky. We fought so much in the first two years of my son’s life. We disagreed on nearly every aspect of parenthood and he did not take any criticism of his parenting style of rather, lack of. He would disagree with my parenting style, criticize me for weaning our son at eight months (in their village chicken liver is fed to babies at four months), and for spending too much on books. We were unable to meet in the middle. I repeatedly gave up and accepted that I was to be the lone parent even though I was in a marriage. I breastfed my son until he was two years of age and any mom who has breastfed has been through nightly routines of waking up 3 or 4 times. I kept my full-time job as well. During that time and for a few months afterwards, I was physically and emotionally drained. I kept questioning myself how much my son truly needed a father figure in his life. Friends told me they too had to guide their husbands or partners regardless of where their partners came from. I realized that as long as we stayed married it is down to me to make this team work. I maneuvered my way patiently and carefully. We fight much less these days. It is easier to convince him of my parenting style now that my son has begun to verbally express himself and he had witnessed how advanced our son is in musical, linguistic and logical-mathematical intelligence. I do not know what future challenges time and circumstance will bring to our marriage, but it is my hope that we will work them out. Previous PostPrevious How do we raise our children in an increasingly polarized world? Please fill out this form, thank you!